I know summer is long gone but someone clearly didn't get the memo. In case anyone asks, this right here is what I would consider a summer appropriate attire. 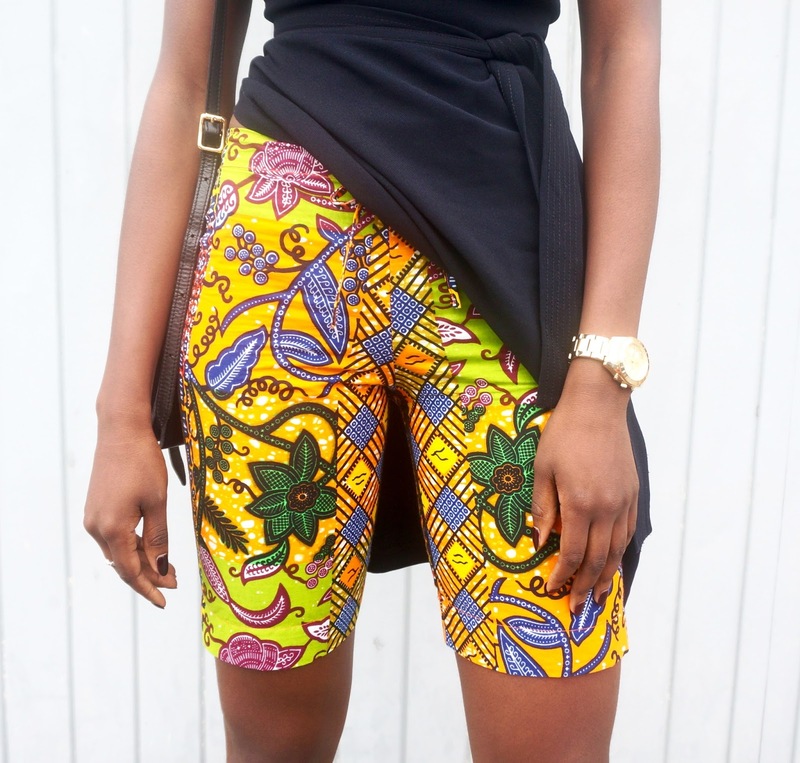 I only just got my hands on these vibrant Ankara print shorts so off course I had to throw it into a look before it becomes offensively too cold to wear such skimpy bits. 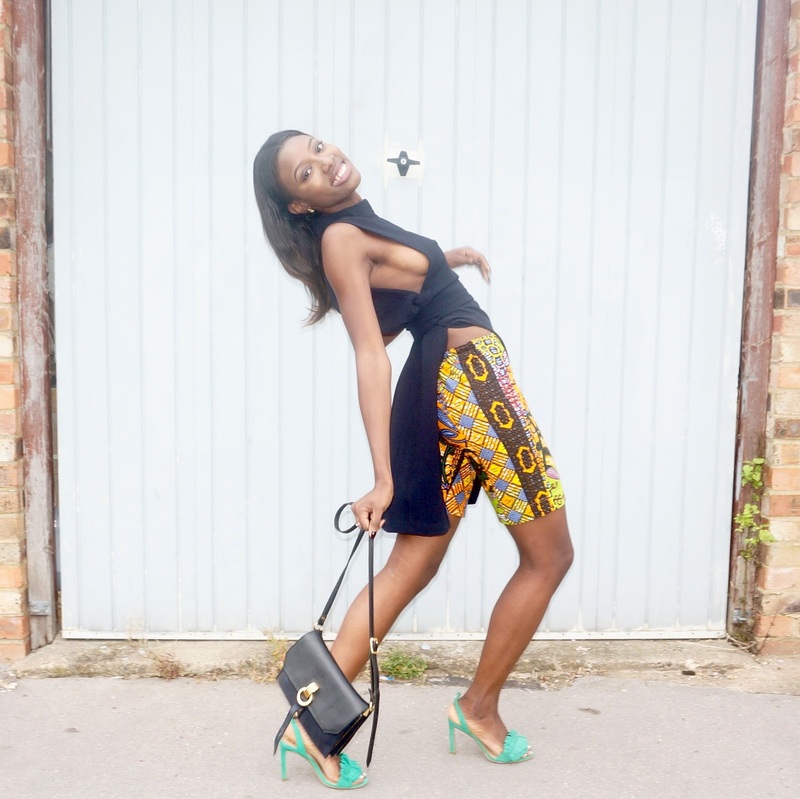 They were a gift from a family member back in Ghana bespoke to fit my body like glue. I wish I had got my hands on them sooner as I would have it a staple part of my summer wardrobe especially since the cycling shorts look is very much on trend. It is a good thing that the seasons rotate because it means I can save it for next summer and then get much more wear out of them. 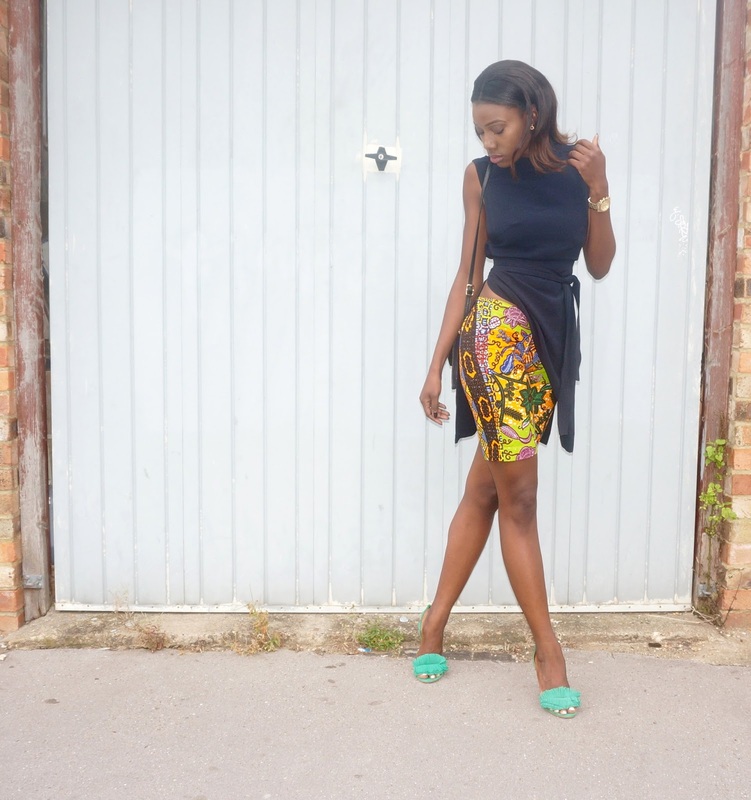 I named this the culture clash look quite simply because it is the coming together of two cultures that make up the person that I am, that being the Ghanaian and British culture.